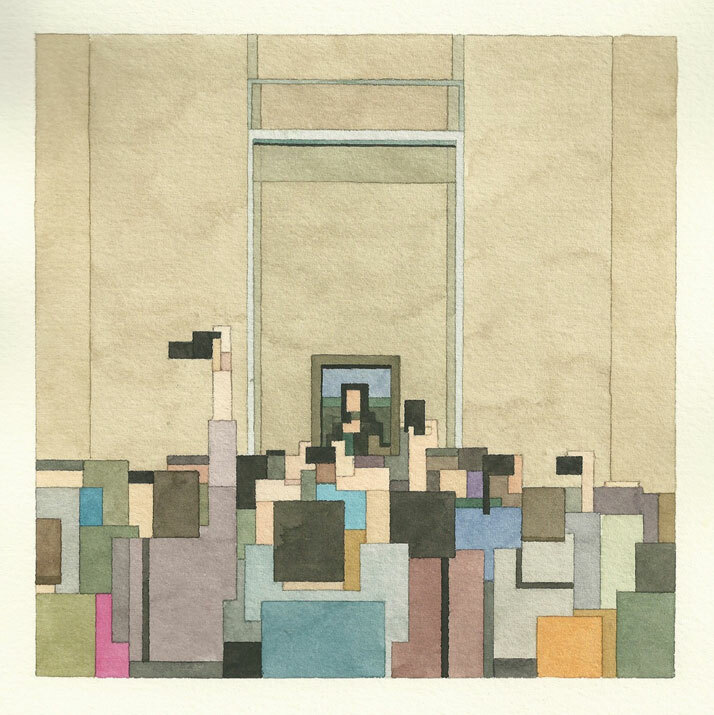 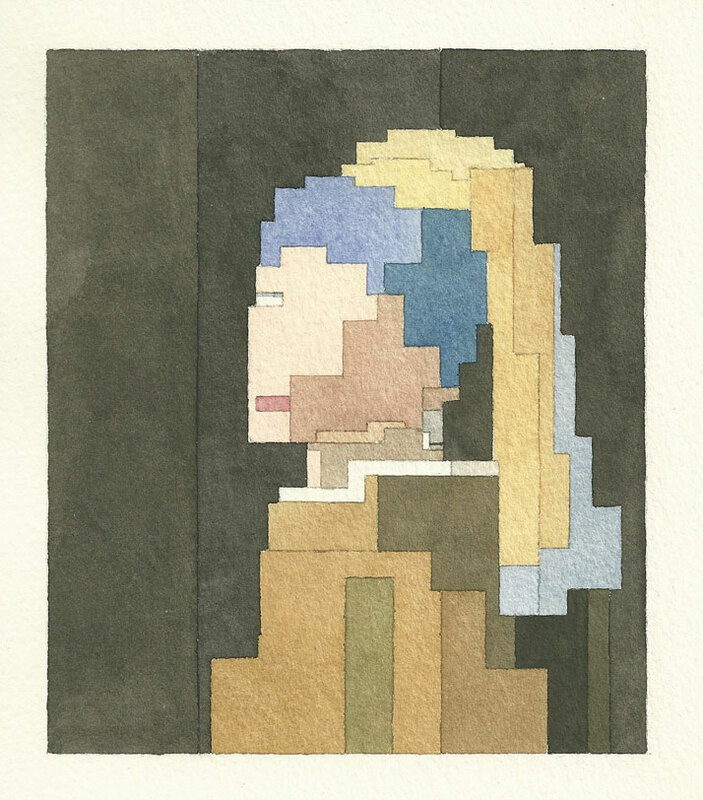 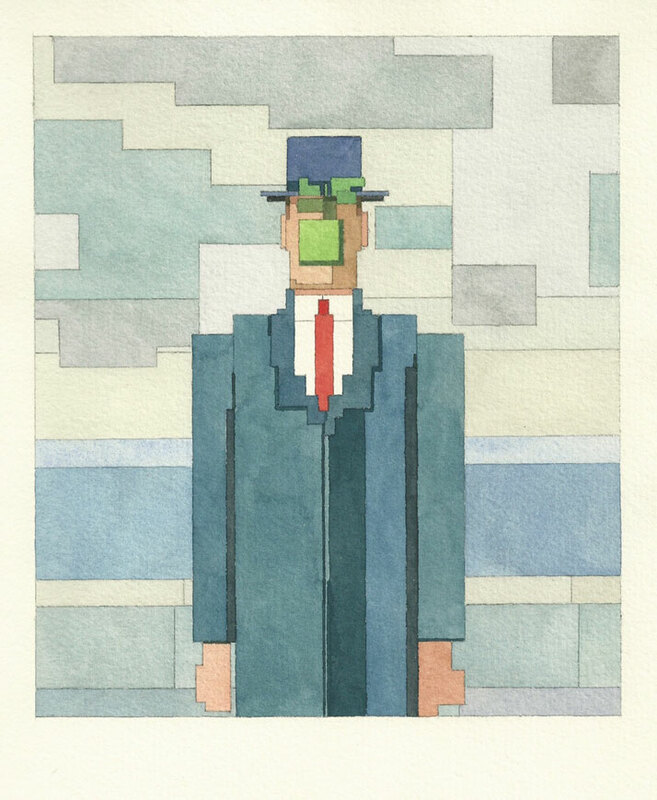 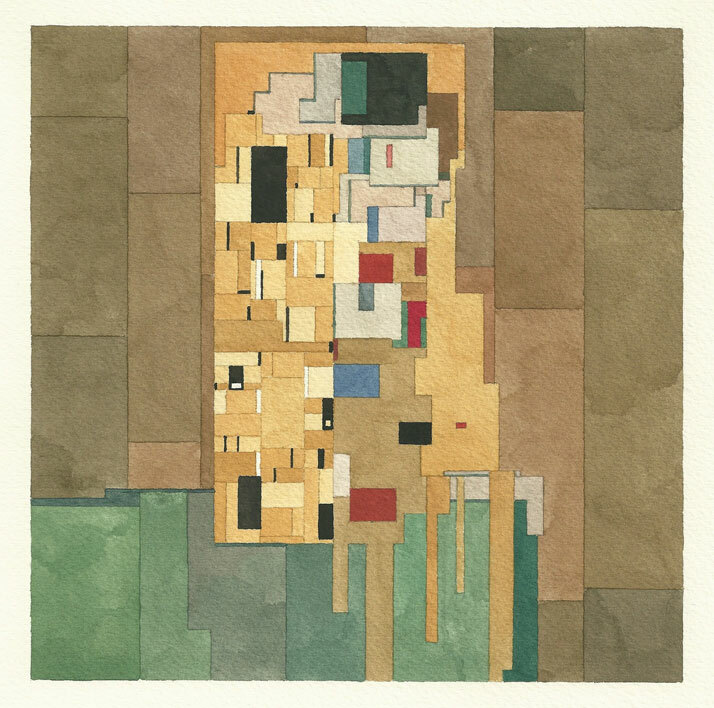 When I first saw pixelated watercolor paintings of the american painter Adam Lister, I was fascinated by his unique and cool art. 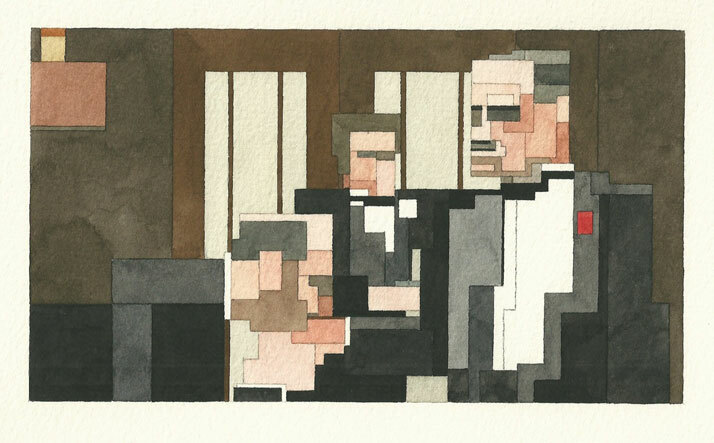 He creates visual compositions with famous artworks and pop-culture characters. 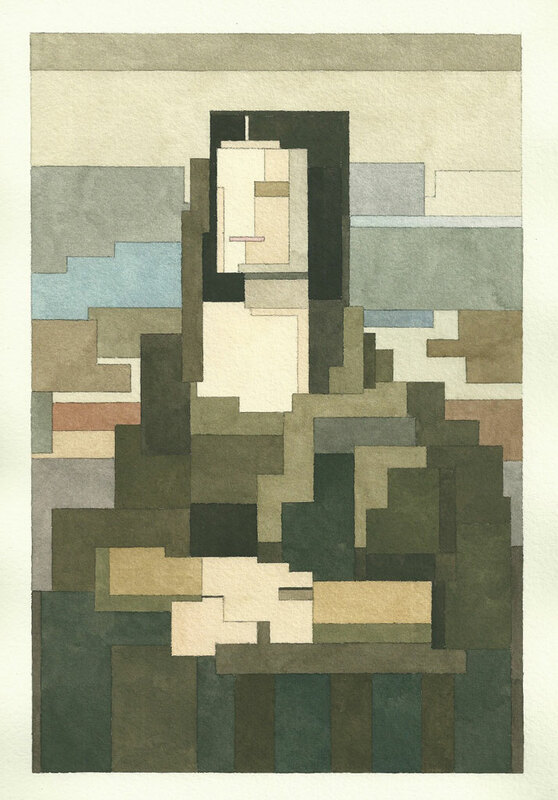 Inspired by the 8-bit graphics of the Atari and Nintendo game consoles, Lister likes to use the principle of pixelated images as a guideline for his works. 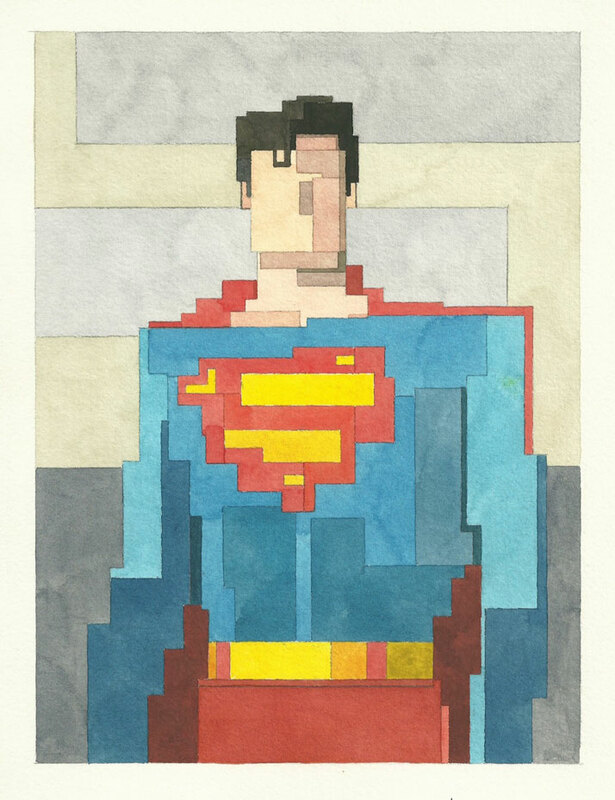 Adam Lister was born in 1978 and is a resident of New York City. 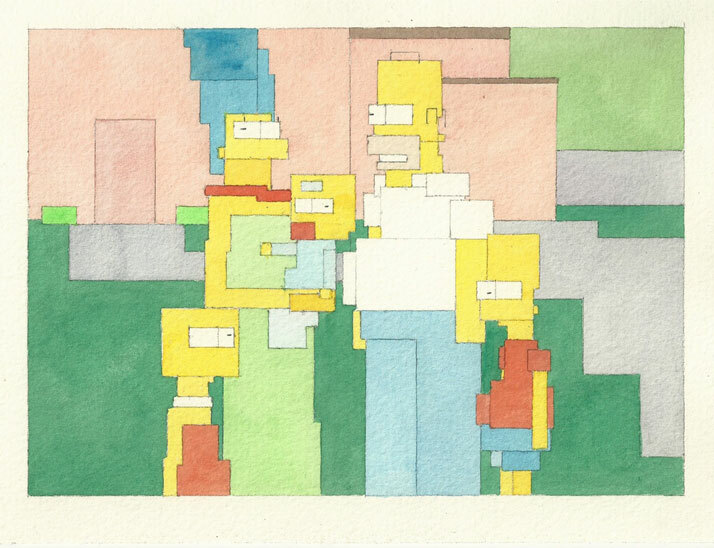 He has presented his work in various exhibitions across the USA and in London. 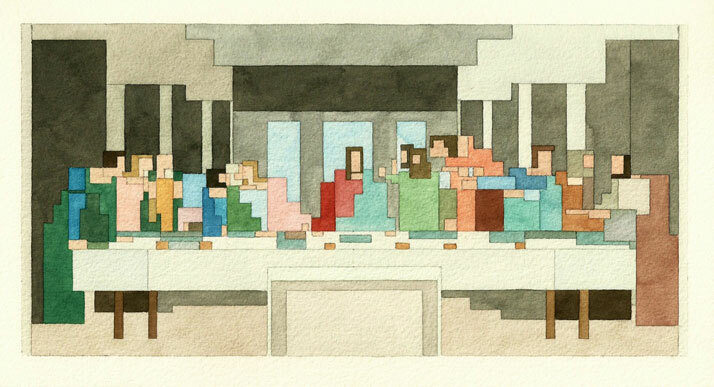 You can buy the limited-edition prints of his work through his website.